Susan Sands is joining me for a Q&A today. 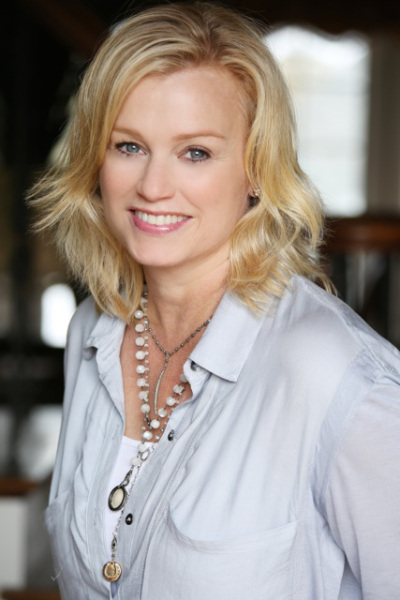 Susan grew up in Northwest Louisiana with strong Cajun roots on both sides of her family but now lives in Atlanta. She enjoys visiting book clubs, bookstores, and libraries when invited and loves to connect with her readers. You can connect with her at Facebook and Twitter or learn more about her and her books at her website. Welcome, Susan! It’s a pleasure to have you join us to celebrate the release of Christmas, Alabama. I’m thrilled to be here today! Thanks for hosting me on the Romance Dish!! This is the fourth book in your contemporary romance series set in the small town of Ministry, Alabama. What should readers expect from this story? Southern fun and romance, mostly!! The town of Ministry, Alabama “puts on the dog” for Christmas. Folks come from miles around to participate in the 5K Jingle Jog, the beauty pageant, tour of homes, cookie bake-off, and gaze in awe at the magnificent tree rivaling the one in Times Square. They blow snow and host a huge Christmas parade. Rachel is the town’s photographer, and she’s busy taking pictures of everything and everyone. But she’s not so great with trusting men due to her own father’s behavior within their family. Dr. Nick’s arm has been proverbially twisted by his employer to fill in at the hospital in Ministry while they’re short staffed between Thanksgiving and New Years. He believes it will be hokey and terrible. Rachel and Nick become neighbors and share the many “man-getting” casseroles meant to lure Nick into the single clutches of the women in town. They become friends and more before long. Amidst the hilarity and shenanigans, there is much tenderness and Christmas romance. 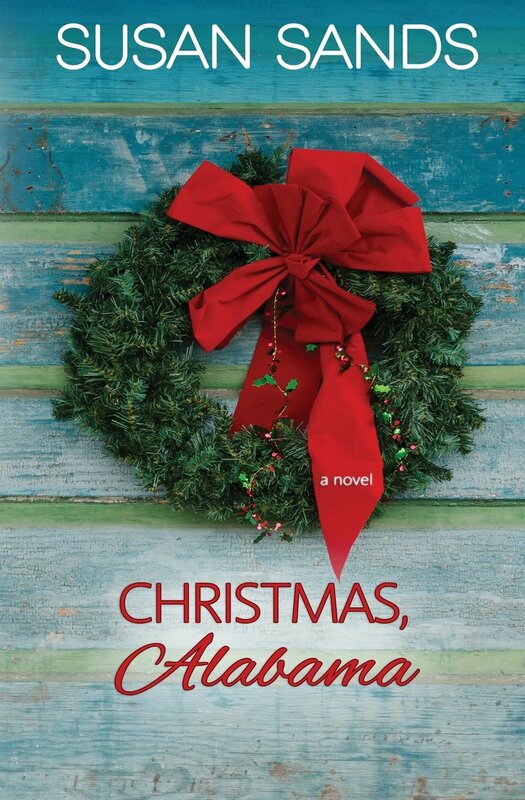 Does Christmas, Alabama stand on its own or is it better to read the series books in order? It does stand on its own, but it includes numerous characters from past Alabama series books, so it wouldn’t hurt to have some backstory. Rachel, a professional photographer, absorbs “more truth through the lens of her camera than words, true or not, could speak.” Which of your characters would you most like to photograph and what do you think the lens would reveal? Miss Maureen Laroux, the matriarch of the Alabama series would be an excellent study “through the lens.” She carries the secrets and history of much of the town and all the family. Holiday traditions are very important to the people of Ministry. What are your favorite Christmas traditions? I adore the smell of a fresh tree, or even a good Christmas candle. Scents of the season affect and boost my emotions because of the memories they evoke. We always make Christmas dinner—never go out. In fact, I don’t think I’ve ever had Christmas dinner at a restaurant. Turkey, stuffing, deviled eggs, ham, rolls, mashed potatoes, tenderloin. Being from Louisiana, sometimes we do a big shrimp gumbo on Christmas if we’re in the mood. Rachel and Nick are both fiercely loyal professional football fans. Do you enjoy sports? To which teams do you give your loyalty? Strangely, my teams are mostly rival teams. But I grew up in Northwest Louisiana, where half were split Dallas Cowboy fans and the other half New Orleans’ Saints fans. We were Cowboys fans all the way. Then, when I married, I moved to New Orleans and we became Saints fans. But then, we moved to Atlanta, where I’ve lived for over twenty years. Guess what? I’m now a Falcon’s fan. That is not allowed. But I like them all still!! So, I’m a Falcons/Saints/Cowboys fan. They all hate one another. Do you have plans for more books in this series? No to both for scents, but love both in baked goods! Thanks so much for visiting with us today, Susan! Readers, do you have a special Christmas tradition? 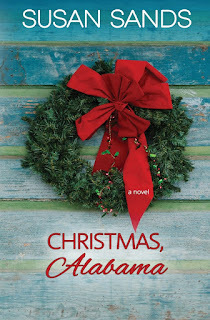 Susan has generously offered a signed copy of Christmas, Alabama to one randomly chosen person who leaves a comment before 11:00 PM (Eastern), November 7. I really like small town stories, especially when they are from the south. There's just something about the matriarch of these towns I enjoy reading. Bless their hearts. I will definitely be catching up in the series. It's nice meeting new to me Authors. Have a wonderful week. Hope you have a wonderful week too, Carol! I adore this series!! To me it is like reading a grown up Sweet Valley High. I connect with the characters and love the town. Would love to revisit with the original characters and maybe get more of a background on Miss Maureen. My family has drastically changed with the death of my beautiful mother but we are trying to hold some traditions. We have drinks and games on Christmas Eve. Make cookies and have my 5 year old niece put them out. we hang our stockings and all say one Christmas wish. then on Christmas morning we all wake up and sit at the top of the stairs. my dad goes down and turns on the lights and advises "Santa came" we all come down the steps and say HAPPY BIRTHDAY, BABY JESUS" And watch Lucy run for her gifts. we recently started a pollyana which allows us to focus on the little ones. Christmas afternoon we usually go to a movie. My favorite Christmas song is Marriah Carey's "All I want for Christmas"
I'd like to know more about Miss Maureen too, Marisa. Hi, both of my parents are from Georgia and I did live there for about 10 years and I love wrap around porches. Love all Christmas songs,Mary did you know, I'm dreaming of a white Christmas ( still have not been in snow ). I had wraparound porch on my last house (before I downsized to a condo). I sure did love that porch! Sounds like another wonderful story in Ministry! And I love holiday stories. I like to ease into the season, starting with bringing out the Christmas dinnerware on December 1 and listening to Christmas music, especially White Christmas. I can watch holiday movies any time of the year, but I hate to see the stores overloaded before Halloween is even over. Thanks for the giveaway. Welcome, Grandma Cootie! It's full speed ahead for me on the weekend following Thanksgiving. I decorate, load the Christmas music, and immerse myself in all things Christmas for month of December. Being together with family is what is a real treasure for me during the holidays. Grandchildren and sons. Love the stories. I have great childhood memories of big family holidays. I've read all four of the Ministry, Alabama books, thanks to an Eloisa James recommendation that introduced me to the series with Again, Alabama. I love everything about Christmas--the scents, the sounds, the sights, and the tastes. I've been reading Christmas books since July--and I am still finding new ones. I hope to start a new Carla Kelly novella today. My favorite Christmas carol is "Angels We Have Heard on High," but I love all the traditional songs. Among secular holiday songs, favorites include "Tennessee Christmas" and "That's Christmas to Me." Yes, my Christmas playlist is already my preferred music, although I will wait until after Thanksgiving to bring out the decorations and wrap presents. I'm like you, Janga though I don't turn into a Christmas elf until Thanksgiving weekend. I enjoy the food, baking, family gettogethers and sharing important memories. I love holiday baking. So many wonderful memories. Favorite song, Let There Be Peace on Earth by Vince Gill. Christmas traditions sadly have changed due to the health of parents and passing. We used to always spend Christmas Eve with my husband's family and Christmas Day with mine. We don't do that anymore and it always makes me sad. I do put up my Dickens Village lighted houses each year so guess that is the tradition. Love Susan and her books. That's a lovely song, Sharlene and Vince Gill has such a wonderful voice. I make cinnamon rolls, decorate the tree and play Christmas music with my daughter. My granddaughter and I make special CHristmas cookies with a special tin I have and we decorate our small tree. This series sounds wonderful. I’ll have to check it out! One of our most fun traditions is piling in our SUV with the favorite hot beverage of our choice and riding around to view Christmas lights and decorations in our town. ❤️ Favorite song is a tie: O Holy Night and O Come All Ye Fairhful. Thanks for the offer! Such a wonderful post thank you. One of my favourite Christmas traditions has to be when the family are gathered to decorate the Christmas tree. Oh, Holy Night is my favourite carol, especially when sung by candle light. Christmas dinner is picnic food. Ham, potato salad etc. That is something that makes more of a holiday more fun for my family. My favorite Christmas song is the Carol of the Bells, or Silent Night, or Come All Ye Faithful. Or just about any of them. I enjoyed this post. I like small town stories. Thank you. I grew up with turkey for the holidays but that changed when I got married. Turkey is for Thanksgiving but it is my homemade lasagna for Christmas. I taught my son to make it. My daughter had no interest in learning. As for my favorite Christmas carol, it is O'Holy Night. It is what Christmas is all about. My town has a Christmas Eve Carol Sing around the green which is followed by candlelight services in the local churchss. The town next to us has a Christmas Party run by their historical society with a tree lighting ceremony and hot apple cider. This book sounds so good!! I usually bake a bunch of holiday treats to share with friends & neighbors. If I'm lucky, my adult kids help out. We like to read A Visit From St. Nicholas on Christmas Eve. Our traditions have changed a bit as the kids grew up, but we still find time to decorate the tree together around Thanksgiving and time to bake. The first 3 books can be stand alone. However, you are going to want to read them all. Such a great series. I love that family! My favorite Christmas song is Mary Did You Know. My favorite Christmas tradition is making all the Christmas cookies and goodies that we give to friends and enjoy ourselves.